There’s nothing quite as chic and space-saving as a set of sliding doors. For the quietest operation, longest product life, and most attractive look possible, many contractors turn to flat track door hardware systems. In this post, we’ll take a look at just a few of the many benefits that flat track hardware can provide. Flat track hardware offers smooth gliding movement and quiet, easy operation. For the quietest possible movement, home and business owners can opt for “quiet’ synthetic wheels that are built to reduce noise. The hardware is also incredibly strong, supporting doors in a variety of materials, weights, and sizes. 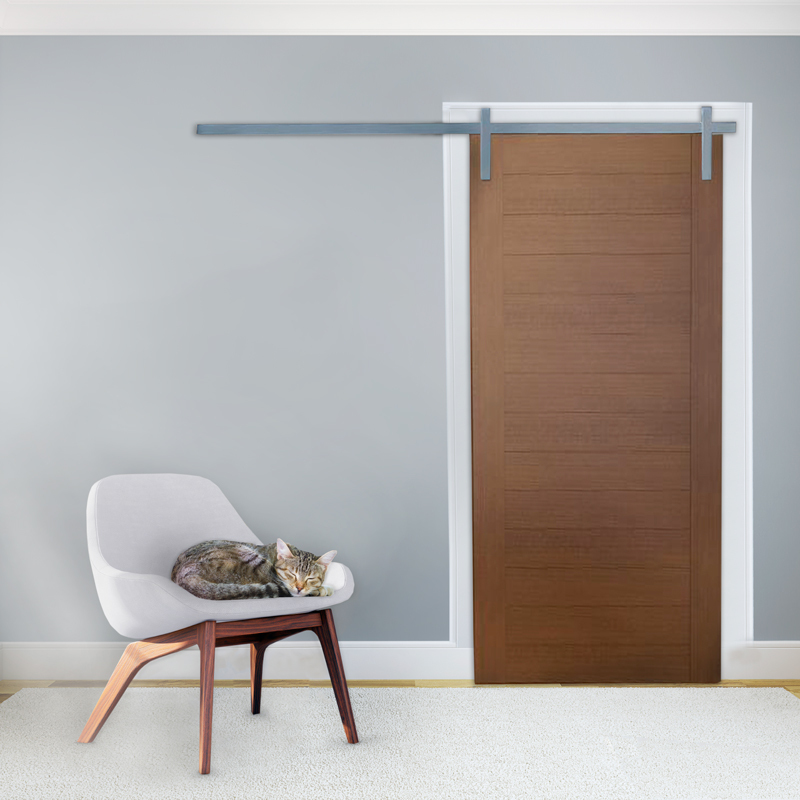 The flat track sliding door hardware offered by Richards-Wilcox Hardware, for example, can hold a capacity of up to 400 pounds. 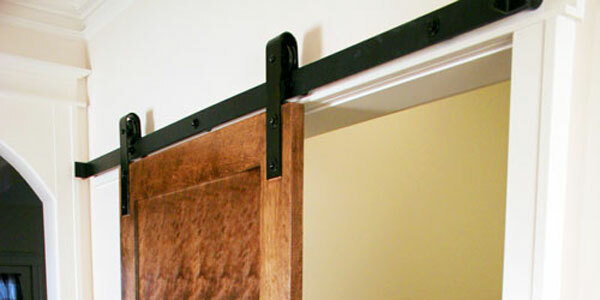 Another great benefit of installing flat track hardware for sliding doors is its beautiful aesthetic. The traditional look of barn door-style hardware is stylish and making something of a comeback with today’s rustic vintage trends. Richards-Wilcox Hardware’s flat track systems come in three different hanger designs (top mount, traditional, and decorative arrowhead) and in different lengths of track for 3’, 4’, 5’ or 6’ door openings. Each of these styles is finished in a smooth powder coat in 8 colors to coordinate well with any style or color of door. Flat track hardware is perfect for businesses, public buildings, historic preservation/restoration projects, partition walls, post frame buildings, carriage houses, barns, stables, and more.. Using the appropriate flat track hardware during home or business renovations can increase your property value while preserving historic integrity. If you’re working on the restoration of a historic barn or country home with traditional sliding doors, a new set of flat track door hardware in the architecturally-appropriate hanger style can bring new worth to your project without sacrificing on historic accuracy. Whether you’re looking to give an existing home a fresh look, install sliding doors in a new home, or preserve a historic property with architecturally accurate hardware pieces, the friendly experts at RW Hardware are prepared to help you find what you need to get the job done right. All of our specialty door hardware products are built to last, manufactured from high-quality materials, and finished with a highly durable powder coat. To learn more about our products and services, call us today at (800) 253-5668, extension 4678.